The regular Local 23 monthly meeting HAS BEEN MOVED to Monday March 11th, at 7PM at the Dunkin Donuts Center. if you are interested in attending and we will send you the registration information. AV Essentials is a four-day, live class that covers basic setup, audio operation and troubleshooting, projection, presentation files, and audiovisual networks typical in breakout rooms. Students are given a written exam and presentation set-up exercise to perform as final exams. Class size is limited to 28 students per class and daily attendance is mandatory. Class days are 8-10 hours long and the online courses must be completed within six months. These online courses give live event professionals an overview of the AV industry, science, and vocabulary of audiovisual systems, while “AV math” helps eliminate system setup guess work. 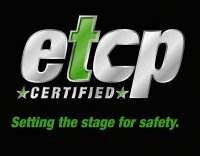 After successfully completing AV Essentials and the set of AVIXA online courses, students receive an AVIXA/IATSE TTF Live Event Technician Certificate. To download application form, right click here. Build on your craft skills and safety knowledge! 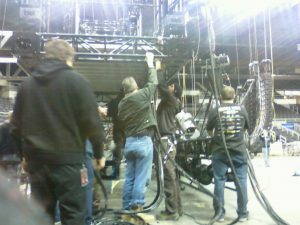 OSHA 10/General Entertainment Safety © was developed by the IATSE Entertainment & Exhibition Industries Training Trust Fund. The training consists of a two-day OSHA 10 course customized for and using examples from the Entertainment Industry. This training covers OSHA policies, procedures, and standards, as well as general industry safety and health principles. Special emphasis is placed on those areas that are the most hazardous, using OSHA standards as a guide. Upon completion, you will receive your OSHA 10 and IATSE TTF completion cards. The two-day workshop itself is free of charge for participants. The IATSE Training Trust Fund cannot, however, cover the costs for travel, lodging, meals, or per diems associated with travel or participation in this workshop. Jay Stone has been an IATSE member since 1989, past president of IATSE Local 195 Stagehands, and served on the Executive Board of IATSE Local 481 Studio Mechanics for ten years. He’s been an OSHA Outreach Trainer for Construction and General Industry since 2009 and OSHA trainer for Local 481. Jay has worked with Risk International and Associates and Dr. Randall Davidson doing theater inspections for 20 years. He’s a licensed fireworks and special effects technician with Ocean State Pyrotechnics and their Safety Officer since 2007.